On loan to EYMS from the 8th December 2008 for a few weeks. 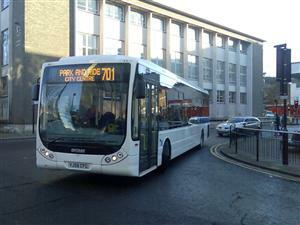 Picture (701 City Centre) courtesy of Ian Knott. Picture (701 Priory Park) courtesy of Richard Grantham.